First published Nov 15, 2018. Intermittent Fasting (also called IF) is often described as a diet, but really it is better described as a pattern of eating. The main focus of Intermittent Fasting is not what we eat, but when we eat.All IF diets are centred on prolonged periods of time in which the dieter either consumes no calories, or eats an incredibly reduced number of calories. In the periods in between fasts, the consumer eats a healthy balanced diet, without calorie restriction. Intermittent Fasting can be used as a weight loss method, to aid with weight maintenance, or can be used to improve certain elements of health. 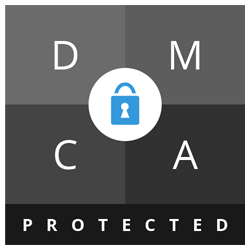 It is suitable for following over a long-term period, and is sustainable and healthy when undertaken correctly. There are several different styles of Intermittent Fasting, all of which offer slightly different benefits. You might find that, depending upon your lifestyle, one type of fasting works for you best, but may not work for someone else. 16/8 follows a regular daily pattern; 16 hours of fasting per day, and an 8-hour window in which you can eat your food for the day. Whilst you could have those eight hours at any point in the day, 7am-3pm or 11am-7pm for example, some experts prefer the 8-hour eating window to fall earlier in the day if possible. There are also some that recommend that women follow a 14/10 eating pattern instead, which is obviously both easier to follow and a more flexible option. This pattern undeniably helps to reduce mindless snacking, especially in the evening, which helps to limit the number of calories you eat overall. It also means that the body’s glucose supply is run down when fasting; when the body doesn’t have any remaining stored glucose to use for energy it switches its energy source to stored fat, a process called ketosis. It also seems like the easier form of intermittent fasting, because the regularity of the system makes it more habit-forming than 5:2 or undertaking the occasional 24-hour fast. When intermittent fasters finish their 16-hour fast in the afternoon or early evening, it is also sometimes known as circadian rhythm fasting or early time-restricted feeding. Studies have shown that nighttime eating is linked with a higher risk of obesity and even diabetes, and so in theory ensuring that you only eat during the daytime maximises the benefits of this method of fasting. Popularised by several books, including the book of the same name, the 5:2 diet splits your week into two sections: five days a week you eat normally (and by that we do mean a balanced and healthy diet without overeating), but two days a week your food intake is restricted to just 500-600 calories. These two fast days can be done on any day of the week, and do not have to be in a row. The two fast days do not even have to be on the same days each week, which makes this type of intermittent fasting fairly flexible (and means that your social life shouldn’t suffer). This is perhaps the most dramatic form of fasting we have described, but there some dedicated fans of this method, so it obviously works for some people. Once or twice a week, you undergo a 24 hour fast. The most popular way of doing this is the dinner to dinner method; your fast starts after you finish your dinner in the evening, and at the end of your fast 24 hours later you can again eat dinner. So if you finish your dinner at 7pm, then you can end your fast the next night with a meal at 7pm. Some people find that they quickly adapt to this method of fasting, but others report suffering from lethargy, headaches, and irritability. If you are the type of person to feel “Hangry” after a few hours without food, then the Eat-Stop-Eat method might not be for you. Intermittent Fasting’s popularity has increased dramatically in the last few years, primarily due to several books that have been released on the topic. 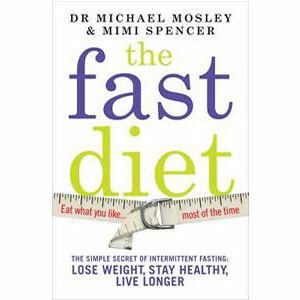 First came The Fast Diet, by Dr. Michael Mosley and Mimi Spencer in 2012 (which accompanied the TV show Eat, Fast, Live Longer). Next was The 5:2 Diet by Kate Harrison; these two books threw the 5:2 method of Intermittent Fasting into the limelight. Finally (at least so far), in The Obesity Code, Dr Jason Fung laid out how intermittent fasting alongside some other dietary changes could help to bring insulin levels under control, reduce your chances of developing type 2 diabetes, and ultimately aid permanent weight loss. Does Intermittent Fasting Work To Aid Weight Loss? Studies have repeatedly shown that Intermittent Fasting is about as effective as following a calorie restricted diet plan for weight loss. The most obvious way in which Intermittent Fasting works to aid weight loss is through calorie restriction. 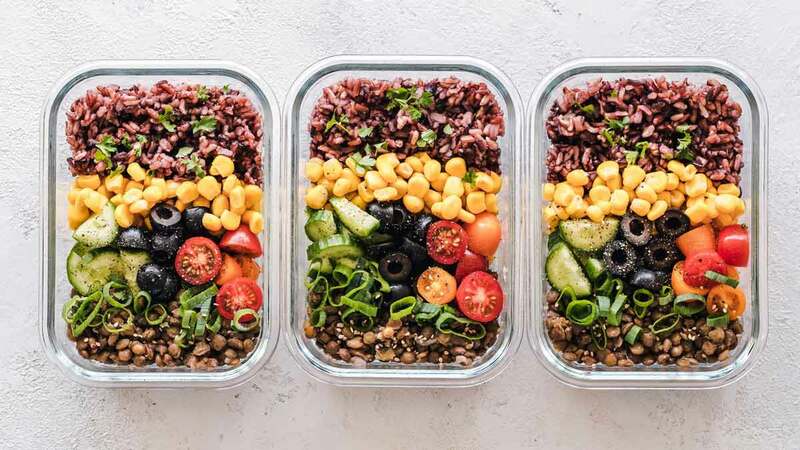 Every variation of fasting involves reducing the number of meals you have in some way, which reduces calorie intake and should lead to weight loss. There is a risk of overcompensating during your feast periods and overeating, but studies tend to show that this does not happen; you will not starve during the fast period (and if you are trying to lose weight then this should be extra motivation to avoid overeating), and it is useful to remind yourself of that. When fasting, there is also a hormonal response taking place in your body; this hormonal response appears to help boost weight loss and fat burning in a number of ways. When fasting, Human Growth Hormone (HGH) levels in the bloodstream increase dramatically; increased levels of HGH are associated with improved fat burning processes, and also with improved muscle gains. Insulin levels decrease dramatically over the course of a fast, and low insulin levels are associated with increased fat burning. By extending your overnight fast for a few extra hours, you are extending the period of time in which your body naturally moves into fat burning mode. Overall, these hormonal changes add up, and studies show that short-term fasting (48 hours or less at a time) can actually increase your metabolic rate by as much as 14%! Longer fasts can cause your metabolic rate to drop, however, so it is important to not go overboard! Intermittent Fasting is seemingly primarily used to aid weight loss, but it also appears to confer a number of other health benefits that make it a viable option as a long-term pattern of eating. Studies suggest that intermittent fasting can improve blood pressure, lower both total and LDL cholesterol (“bad” cholesterol) levels, and lower blood triglycerides. Following intermittent fasting also appears to help to regulate blood sugar levels and insulin levels, which may help to prevent type 2 diabetes by improving insulin sensitivity. There are some studies that indicate that using intermittent fasting for weight loss helps to preserve muscle mass. One side effect of weight loss is that muscle mass is lost as well as fat mass. One study found that those who lost weight using traditional calorie restriction lost similar amounts of fat mass, but lost more muscle mass than those who were following a routine of intermittent fasting (24hour on/24 hours off) [Source]. As muscle plays a significant role in your metabolic rate, maintaining your muscle mass as you lose weight could make it easier to maintain a healthy weight in the long term, and to help prevent weight regain. Hunger is the main concern for most people who are just starting intermittent fasting; it might take a few days of getting used to, but generally, your body adapts to a new pattern of eating pretty quickly. 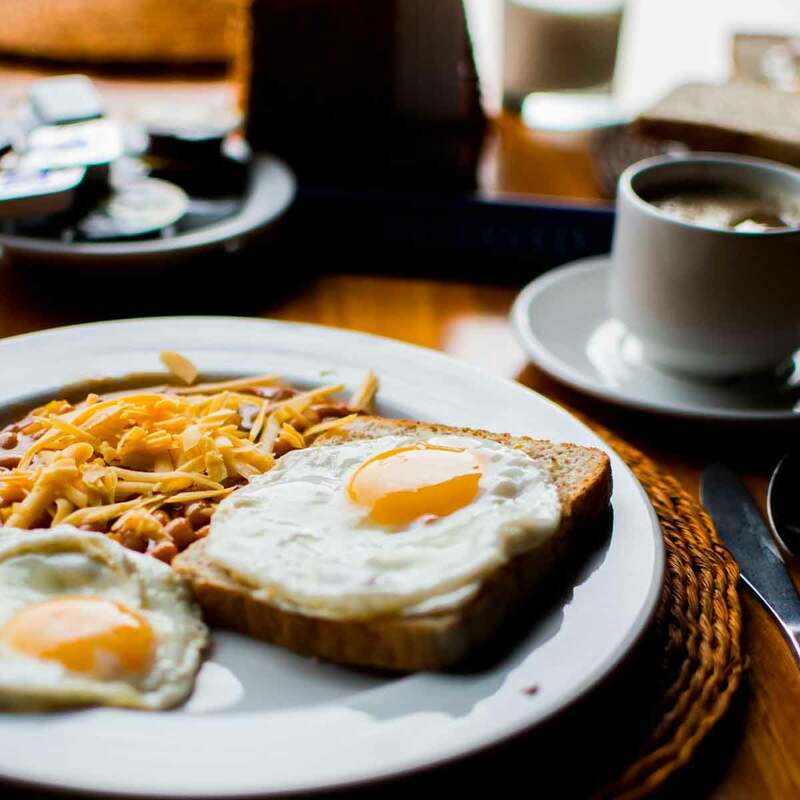 If you are already the type of person to skip breakfast, then you may only need to go without food for a few extra hours before your eating window starts. Drinking plenty of water can help with hunger throughout your fasting period, especially in the last few hours. Tea and Coffee (without milk or sugar) can still be consumed during the fast period, so there is no need to forego your morning energy-booster. Generally, intermittent fasting has proven to be an incredibly safe method of weight loss. However, as with all diets, there are some groups of people who should avoid intermittent fasting, or who should consult with their doctor and gain approval before starting this pattern of eating. 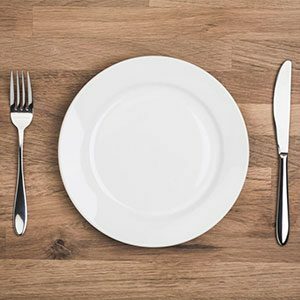 Intermittent Fasting is not suitable for pregnant or breastfeeding women, women who are trying to get pregnant, or anyone who has a history of eating disorders such as anorexia or bulimia. Anyone who has already been diagnosed as having diabetes should only follow Intermittent Fasting following the approval and under the close supervision of their doctor. The elderly and anyone with chronic illnesses should also consult a doctor before following any new diet plans, including intermittent fasting. IF may not be a good idea for those who need to take medications at the same time each day, especially if they are best taken with food; again, consult your doctor to see if Intermittent Fasting is suitable for your situation. Because Intermittent Fasting focuses upon when you eat rather than what you eat, it can be combined with various different diet plans, such as the Mediterranean Diet, Paleo, and Keto, or your existing diet can be adapted to fit into the time constraints of IF. Numerous studies suggest that just using intermittent fasting (with no additional dietary restrictions) is just as effective as following a calorie restricted diet. Whilst this style of eating may not be for everyone, if there are no health reasons preventing you from trying it, we certainly encourage you to give it a try. It can take a few weeks for new habits to form and for your body to adapt to a new regimen, so we recommend giving it a go for at least a month before deciding whether or not Intermittent Fasting is for you.